The Laboratory for Atmospheric and Space Physics at the University of Colorado at Boulder was selected by NASA to lead a new upcoming space mission to Mars. The Mars Atmosphere and Volatile Environment spacecraft is scheduled for launch in 2013 and will spend three years exploring the planet’s climate and atmosphere. This mission will be the second in NASA’s Mars Scout program, after the 2007 Phoenix launch. In August 2006 NASA put out an Announcement of Opportunity for Mars investigation mission proposal. Twenty proposals were submitted and recently NASA selected one of them. The Laboratory for Atmospheric and Space Physics (LASP) at the University of Colorado at Boulder submitted the winning proposal. The Mars Atmosphere and Volatile Environment (MAVEN) spacecraft came in first when NASA evaluated science value and implementation risks. Determine the role that loss of volatiles from the Mars atmosphere to space has played through time, allowing us to understand the histories of Mars’s atmosphere and climate, liquid water and planetary habitability. Determine the current state of the upper atmosphere, ionosphere and interactions with the solar wind. Determine the current rates of escape of neutrals and ions to space and the processes controlling them. Determine the ratios of stable isotopes that will tell us the history of loss through time. 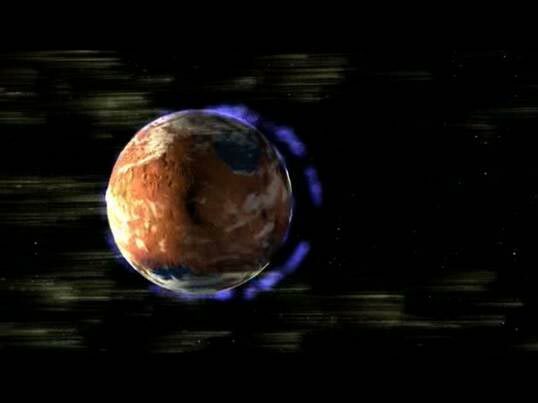 The majority of planetary scientists believe Mars lost most of its atmosphere several billion years ago. Scientists will use MAVEN data to determine what role the loss of volatile compounds, including carbon dioxide, nitrogen dioxid,e and water, to space from the Martian atmosphere has played in its evolution. The results should provide insight into the history of Mars’ atmosphere and water. “The loss of Mars’s atmosphere has been an ongoing mystery,” said Doug McCuistion, director of the Mars Exploration Program at NASA Headquarters in Washington, “MAVEN will help us solve it.” He added “This mission will provide the first direct measurements ever taken to address key scientific questions about Mars’s evolution.” “Understanding planetary atmospheres, including their present state and their evolutionary history, has been a mainstay of LASP’s research goals for over four decades,” said LASP Director Daniel Baker. Indeed, the University of Colorado in Boulder is the only university in the world to have designed, built, and launched instruments to every planet in the solar system. The spacecraft will carry three instrument suites. The first is a remote sensing package built by LASP that will determine global characteristics of the upper atmosphere. The second is a particles and fields payload built by the University of California, Berkeley, with support from LASP and NASA’s Goddard Space Flight Center. It contains six instruments that will characterize the solar wind, upper atmosphere, and the ionosphere, a layer of charged particles very high in the Martian atmosphere. The third instrument suite, a Neutral Gas and Ion Mass Spectrometer provided by the Goddard Space Flight Center, will measure the composition and isotopes of neutral and charged forms of gases in the Martian atmosphere. MAVEN will be the second mission of NASA’s Mars Scout program, a recent initiative designed to send a series of small, low-cost missions to the Red Planet. In 2007 NASA launched the first Mars Scout Mission. Phoenix landed on the icy northern polar region of Mars on May 25, 2008. 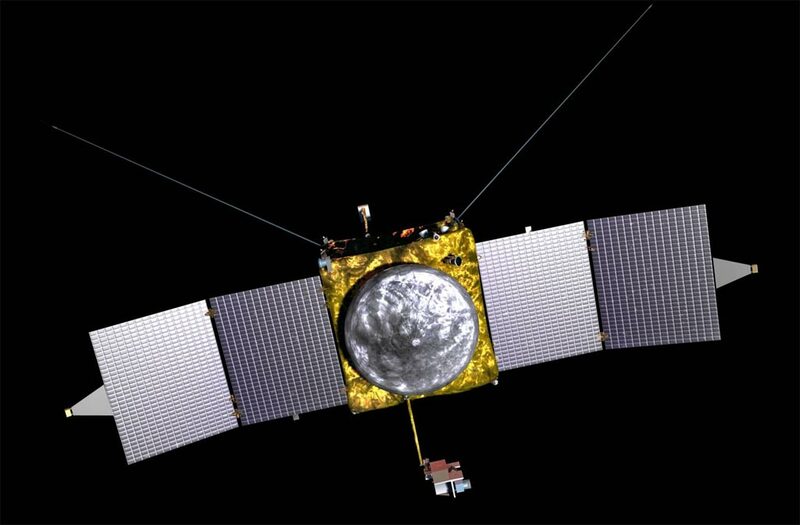 The spacecraft completed its prime science mission on Aug. 25, 2008. The mission has been extended through Sept. 30. Lockheed Martin will build the MAVEN spacecraft and will carry out mission operations for MAVEN. NASA’s Jet Propulsion Laboratory will navigate the spacecraft. LASP will provide science operations and data packaging and NASA’s Goddard Space Flight Center will provide management and technical oversight for the mission. After arriving at Mars in the fall of 2014, MAVEN will use its propulsion system to enter an elliptical orbit ranging 90 to 3,870 miles above the planet. The spacecraft’s instruments will take measurements during a full Earth year, which is roughly equivalent to half of a Martian year. MAVEN will also dip to an altitude of 80 miles above the planet to sample Mars’s entire upper atmosphere. During and after its primary science mission, the spacecraft may be used to provide communications relay support for robotic missions on the Martian surface. TFOT covered the landing of the Phoenix on Mars in May of this year, after a nine month trip since its launch. TFOT also reported on data collected by NASA’a Mercury Surface, Space Environment, Geochemistry and Ranging spacecraft, showing that Mercury’s volcanoes were involved in plain formation and suggesting that its magnetic field is actively produced in the planet’s core. Another article reported NASA’s ambitious “Solar Probe Plus” mission, which aims to send a spaceship to the sun. Further information on the latest mission to Mars can be found in the NASA and University of Colorado at Boulder press releases. Shalhevet is finishing her B.A. degree in physics and mathematics at the Hebrew University in Jerusalem. She will begin her M.A. studies in physics next year and will focus on cosmology and astrophysics, her main topics of interest.